​Data decays at upwards of 70% per year, and approximately 7 out of 10 physicians across all specialties change jobs within their first two years out of residency. Without a healthcare data hygiene process in place, your opportunities are going to your competitors who are either more prepared, or in the right place at the right time, and your market sizing work is nearly for naught only a year after it was completed. Our healthcare data engine accurately combines a variety of physician and facility-focused data sources into a single, searchable provider directory. This data is not only accurate, it's also fresh, with data acquisition and update tasks happening daily, meaning new claims, demographic and relationship data points are continuously added to our dataset. Unlike healthcare data gathered from only from publicly available sources, data that could be years old and out of date, our physician and facility demographics are sources from regulatory, private and public sources, ensuring changes make it into your hands as soon as they're published. Your organization produces life-saving treatments, and your sales organization is tasked to get those treatments into the hands of physicians who can then improve patients' quality of life, and even save lives. But what if your sales team is constantly thwarted by data quality issues and lack context when engaging with physicians? What if your sales team is missing out on the largest opportunities because their systems are out of sync with the ground truth? Unfortunately, that's the reality for majority of MedTech organizations. But it doesn't have to be. Carevoyance is preloaded with millions of data points for every provider in the US. 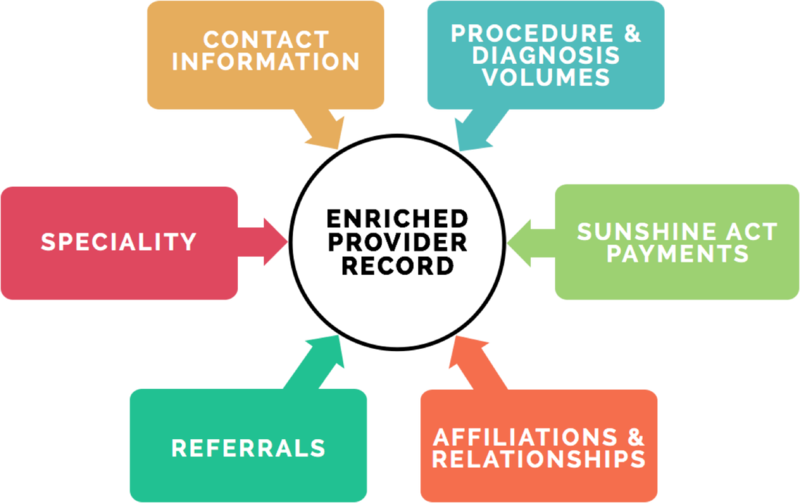 We update our data continuously from hundreds of sources - demographics, contacts, affiliations, relationships and even physician and facility utilization. Moreover, we're always adding new sources of data that help add even more context to the always-changing topology of healthcare in the United States. Have confidence you are working with the most accurate, up-to-date data source in healthcare. With better data and insights, Sales Ops, Marketing and Sales Reps teams become tightly coordinated and deliver more value, improving competitiveness and winning more deals. Clean-up the thousands of incomplete or inaccurate contact records in your CRM. 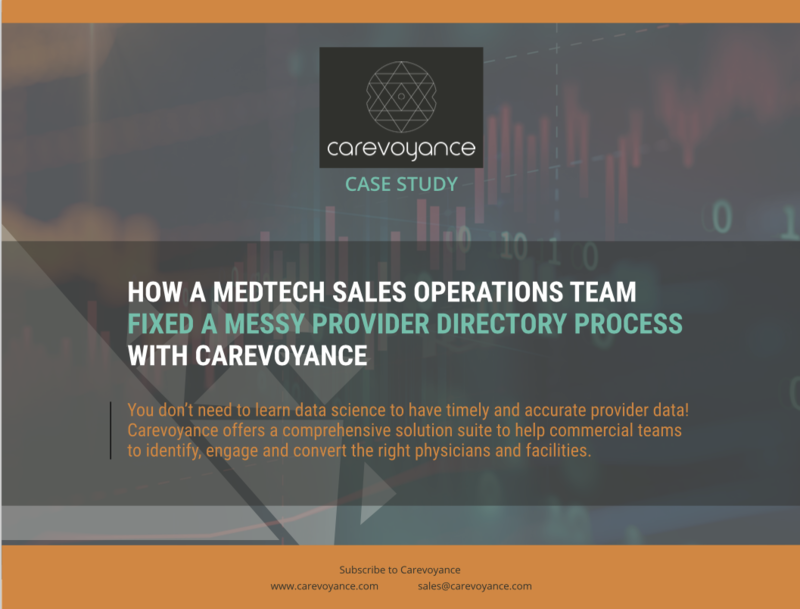 Carevoyance appends a unique key to each provider record to ensure that your CRM data is always accurate and up-to-date. Supercharge each contact with better intel. ​With Carevoyance, you'll benefit from regular updates and recommendations of additional accounts and contacts who fit your designated criteria. Ensure your critical contact and account data is up to date in your system of record with our Salesforce.com integration. It's simple to get started. 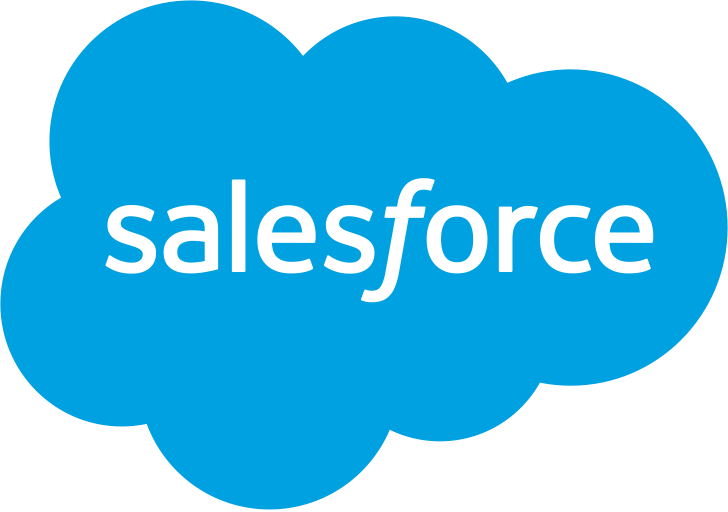 Send us your account list or connect our integration to your Salesforce.com instance. We'll pull the accounts and contacts, connect them with our canonical facility & physician records and send the data back for you to review. After the review, we'll push updated data directly into your CRM, and continue to update the data as it changes. Any new records in your CRM will automatically get the same cleanup. Know when physicians move before you lose their business.